As Houston’s best web design Service and internet marketing company, we set the trends that everyone else in the industry follows. We embrace industry-shattering innovation. It’s what defines us. Small Business or startups in Houston, Texas both look up to us for their web design solutions. We are experienced and skillful Web Design Company. 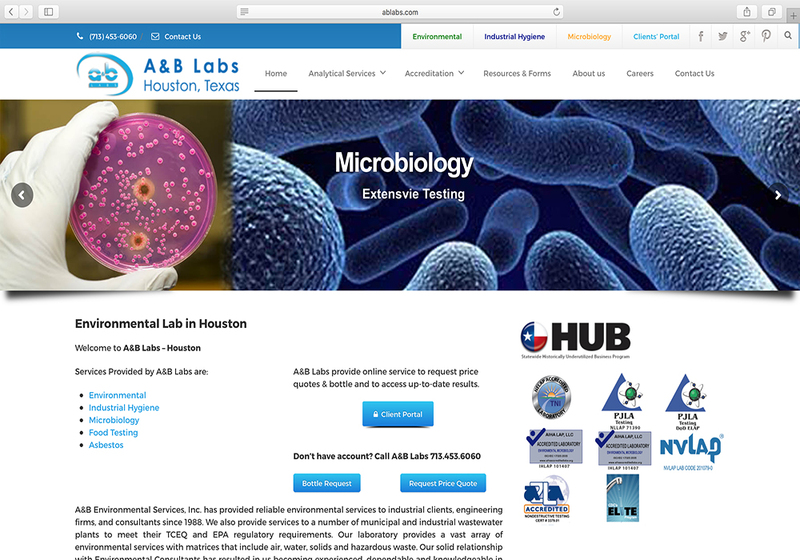 We are proud to say that we have been providing high-quality and affordable website design services to many Houstonian businesses for the last half a decade. 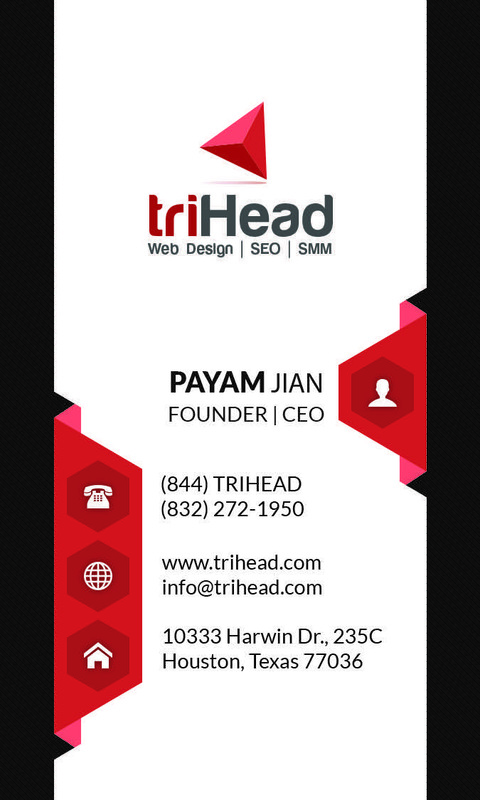 Our customers know that they can trust triHead LLC. We’re transparent, we’re consistent and we’re experts in web design and internet marketing. Our portfolio spans across many different industries. From wholesale to retail to auto glass repair and replacement, we’ve done it all. After all, triHead LLC is a premier web design and web hosting company specializing in creating and maintaining websites with the outstanding design for businesses and individuals alike. We offer many services and hosting choices. Our most sought-after services include but are not limited to: making enterprise-level websites and their corresponding landing page, website remake (modernization), website maintenance and affordable web hosting. We also offer search engine optimization (SEO), pay-per-click (PPC) advertising, copywriting, keyword research, Online marketing consulting, and much more. Regardless of what you need, you can be assured that all our services are competitively priced for the high-quality work that you can expect from us. All this means is that we work tirelessly around the clock to bring you the best possible service you can ever want, at a very affordable price. With $500 you can have a Landing Page Website. A Landing Page Website is well-suited for businesses that primarily provide mobile service to their customers, such as Auto Glass Repair, Painting Service, etc. This type of website allows for pay-to-click (PPC) advertising that’ll more effectively convert leads into clients. It’s great for search engine optimization (SEO), PPC and for conversion rate optimization (CRO). In short, a Landing Page Website is great for business! We can setup your website even just today. One of our essential web services is to make your website popular on the internet like never been before. Your website’s visibility is vital as it attracts more traffic. More traffic means more visitors, which in turn translates into more customers. SEO can help your business increase its revenue by 30%. Indeed, this is true of most industries. SEO can be broken down into two major techniques: On-page Optimization and Off-Page Optimization. On-Page deals with the content of your website; off-page deals with how reputable your website is on the internet, which is impacted by several factors such as link-building. This is why we like to do the content-writing in-house. It gives us the ability to focus on your website’s on-page optimization strategies from the get-go. In fact, many of our customers looking forward to utilizing internet marketing let us know in advance so we can implement a viable digital marketing campaign at a fundamental level. At triHead LLC, we think business transcends short-term income. We have observed that most our customers have a long-term plan on how they would like to meet their online objectives. We think we can help you with our high-quality, yet affordable services. So, give us a go and let us help you with your online presence! To understand triHead LLC, it’d be helpful to see how it all happens. It’s a process you’ll find in every web design and internet marketing company out there. The snag is, it can be rather a hectic of a process. First, we design a dynamic, mobile-friendly website. Then, there will be copywriters, graphic designers, SEO experts, internet marketing researchers and web designers, all working together to create a single piece of eye-catching content. There are many drafts made before a final draft can be adopted. It’s all hard, coffee-intensive work. Houston’s top web design and internet marketing company, we set the trends that everyone else in the industry follows. We embrace industry-shattering innovation. It’s what defines us.